So you want to travel, eat out, live by the beach or in the country, drive the car you’ve always wanted, or help your grand kids through school. If you would like regular income without having to rely on the pension when you retire, property investment could be for you. How much you need and want can be worked out now so you can look forward to your dream lifestyle when you retire. The following is a list of most frequently asked questions by Empty Nesters. To view the entire list of frequently asked questions, please visit the FAQs page. We want to invest using our super. What are our options? Self Managed Super Funds (SMSFs) are used by many Australians who have the capability and professional support to take control of their super. We have helped many clients purchase property through SMSF. It’s important to always seek advice from an accredited financial planner to make sure SMSF is right for your situation. 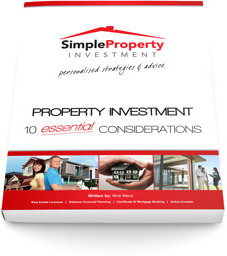 Get property investment advice from an insured advisor. We wish we’d started earlier. Is it too late to invest? Everybody and every situation is different. We look at your personal circumstance and evaluate accordingly. It may be necessary to seek advice from an accredited financial planner to make sure property investment is right for your situation.